The INFINITI Engineering Academy has provided an opportunity for many bright, young engineering talents to find their dream jobs working in Formula 1. Behind every great engineering challenge lies human talent. 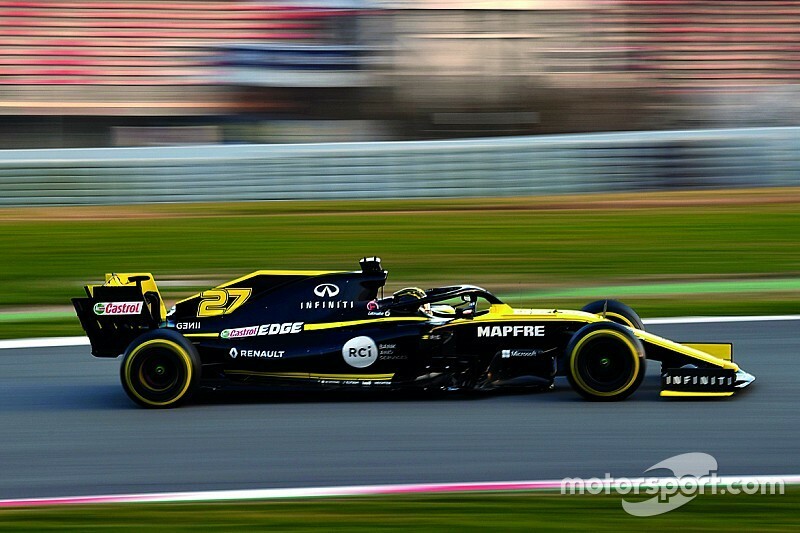 The collaboration between INFINITI and Renault F1 Team has led to a series of success stories thanks to a unique automotive-to-motorsport training programme for the world’s brightest young engineers. Now entering its sixth season the INFINITI Engineering Academy is a global search for fresh-thinkers to be recruited across both automotive and Formula 1 industries. Over the past five years, the Academy has discovered many young, diverse engineering students from across the world who have won a once-in-a-lifetime opportunity to play an active role in INFINITI’s technical partnership with Renault F1 Team. Each year seven regional winners are chosen through a multi-stage recruitment process from thousands of applicants. Each Academy winner has a personal mentor overseeing their professional career development as they progress through their 12-month placement, split between INFINITI’s Technical Centre Europe based in Cranfield and the Renault F1 Team’s headquarters at Enstone. The six-month placement at each company allows every engineer to develop a valuable depth of specific knowledge and cultivates a two-way transfer of technology, systems, and processes across INFINITI and Renault F1 Team. In the past five years, 50% of the Academy winners have secured full-time employment contracts with INFINITI or in Formula 1 – with more joining suit after their studies, proving the INFINITI Engineering Academy is the ultimate life-changing student engineering programme. 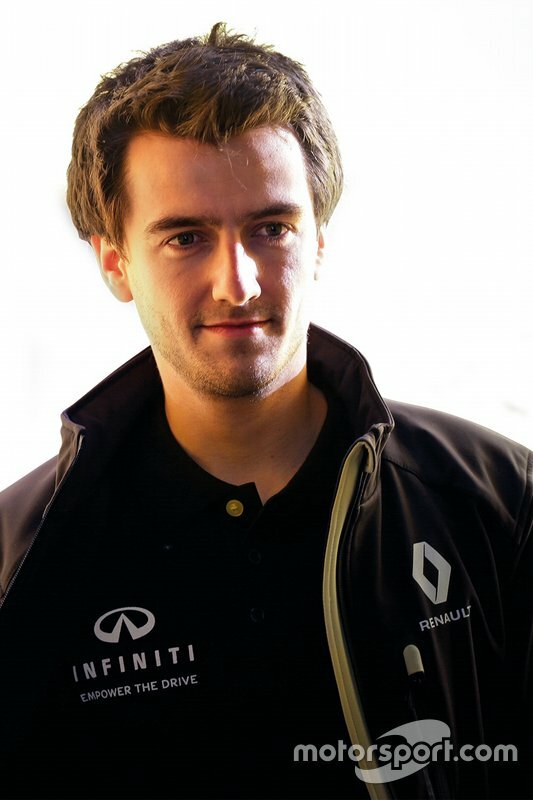 As the Canadian winner of the 2017 edition of the INFINITI Engineering Academy, Matthew Crossan has secured full-time employment with Renault F1 Team as a Simulation Development Engineer in the Vehicle Performance Group. His new position brings him one-step closer to his ambition of becoming a race engineer. 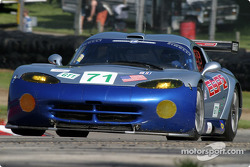 “Before the team travels to any track in the world, we simulate what setup the cars will use at that Formula 1 race. My role within the team will now be to improve and develop the simulation tools to ensure optimum performance output from the car. That simulation produces future ideas which we can later evolve. “This is what I’ve always wanted to do and I’m only here today thanks to the success I was able to achieve in the INFINITI Engineering Academy,” says Crossan. Frenchman Damien Turlay, 25, triumphed in the 2017 European final of the INFINITI Engineering Academy. Turlay impressed the judges with his excellent technical knowledge. 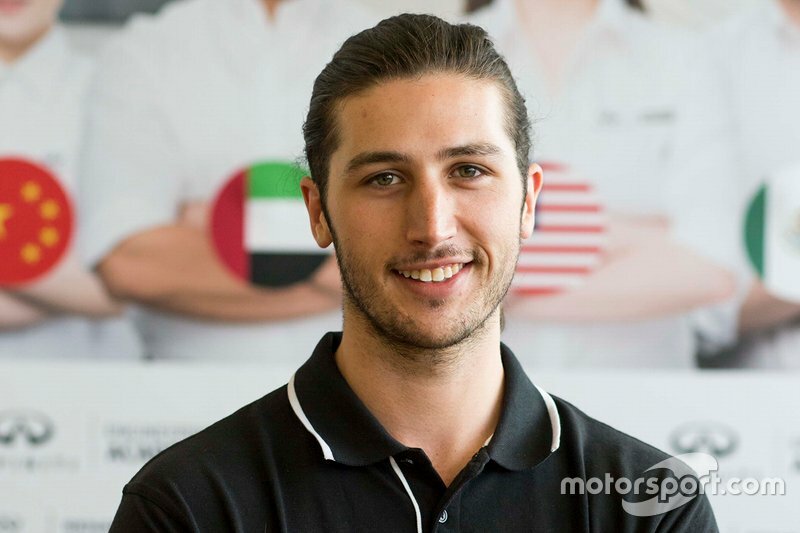 After his studies, Turlay secured a full-time position and is now working at the Renault Sport Racing powertrain research and development facilities in Viry-Châtillon. 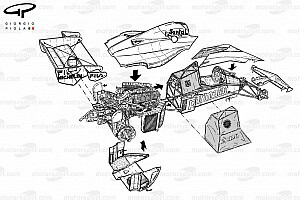 Viry is the site that develops the 1.6-litre hybrid turbocharged Power Unit that powers the Renault F1 Team race cars. Turlay has been involved with a group of INFINITI performance hybrid engineers in a project to co-develop and optimize the second-generation Energy Recovery System (ERS) within the Power Unit. 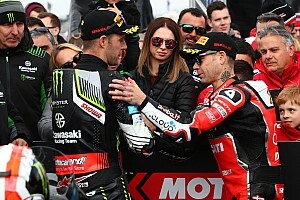 The transferable technologies between Formula 1 and the automotive industry have also seen Turlay working on the development of the new INFINITI Project Black S road car prototype. During her placement with Renault F1 Team, 25-year-old Chinese student Xuezi (Sally) Li was working within the aero department. At Enstone she helped the team with a new rear wing concept that was used on the R.S.17 at the end of the 2017 F1 season. 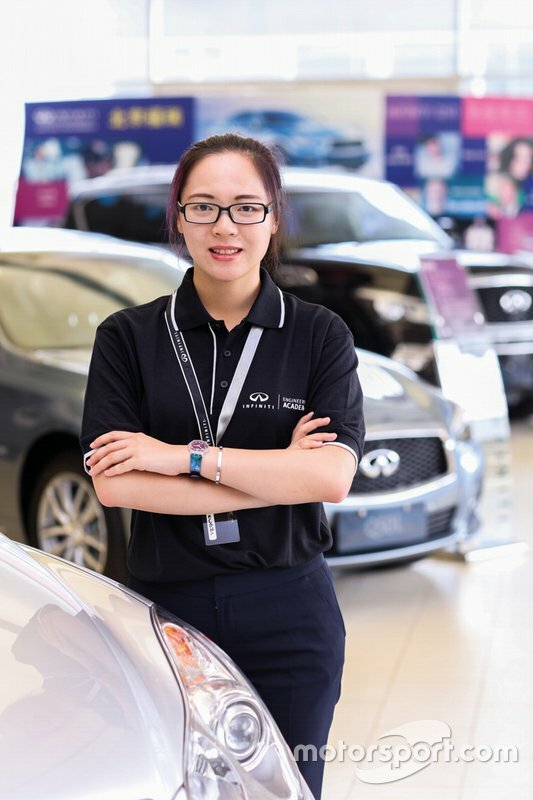 Originally from Chengdu in China and a student of automotive engineering, the success from winning the INFINITI Engineering Academy gave Li a life-changing opportunity. Li decided to specialize in aerodynamics and afterwards studied a PhD at Imperial College, London. She now has a position as an aerodynamics engineer at INFINITI. Back in 2016, Alexandros Palaiologos was the first-ever winner of the INFINITI Engineering Academy from Mexico. After completing his year at INFINITI Technical Centre Europe and with Renault F1 Team, Palaiologos was welcomed back to the Cranfield facility in July last year. After finishing his studies, last summer marked the beginning of the 26-year-old’s full-time career in premium-sector automotive engineering. 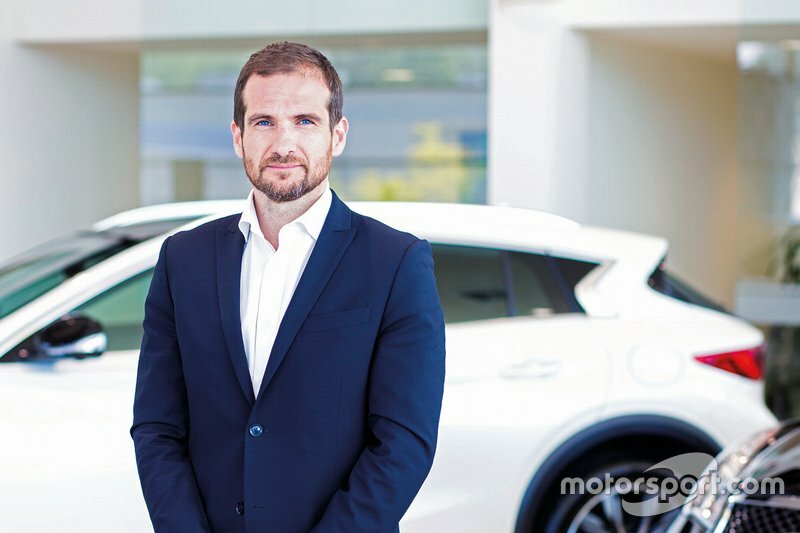 Director Global Motorsport and Performance Projects, INFINITI Motor Company Ltd.
How important is it for INFINITI and the wider Renault-Nissan-Mitsubishi Alliance to recruit new engineering talent? 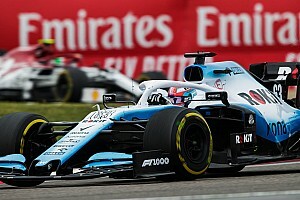 How relevant is Formula 1 technology to automotive engineering and vice-versa? 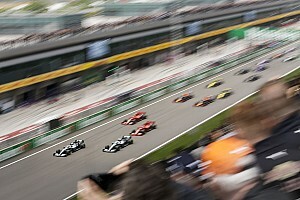 What learnings do you think the winners will gain working in the automotive sector that they can take into Formula 1? This is your opportunity to secure a once in a lifetime work placement across automotive and Formula 1 engineering. All applicants must be fluent in English, be a current engineering student and be a citizen or resident in one of the eligible countries. 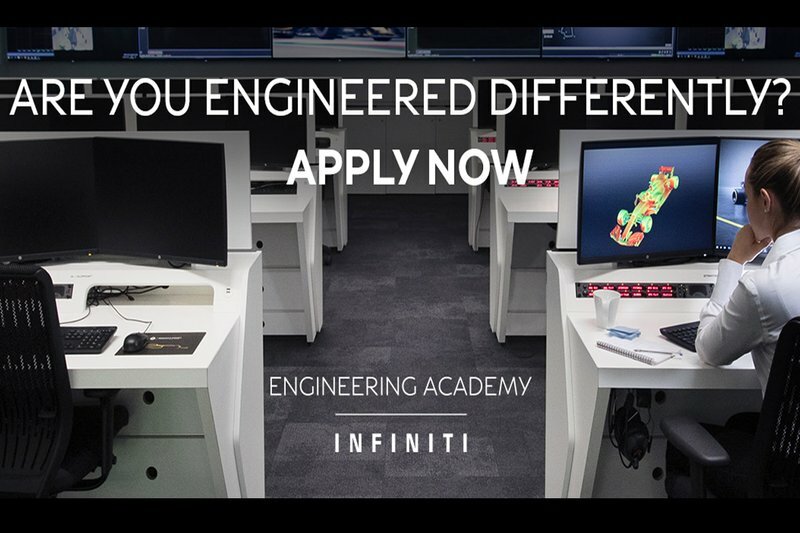 For more information on the INFINITI Engineering Academy, or to apply to be a part of the class of 2019, visit http://academy.infiniti.com.